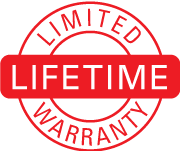 DynaSense 5307 Series Thermocouples each contain a welded junction of 2 dissimilar metals embedded within a protective probe sheath. The thermocouple junction (in the probe tip) emits a very small DC voltage varies with temperature. The thermocouple junction is electrically isolated in the probe sheath for safety and to reduce noise pick up. The probe sheath material is normally 304 type stainless steel on type J, E, and T thermocouples. For the higher temperature (up to 1800°F) type K thermocouple, an Inconel probe sheath is used. Standard termination on the other end of the probe wire is a mini connector, which is matched to the type of thermocouple ordered, ensuring proper cold junction compensation. 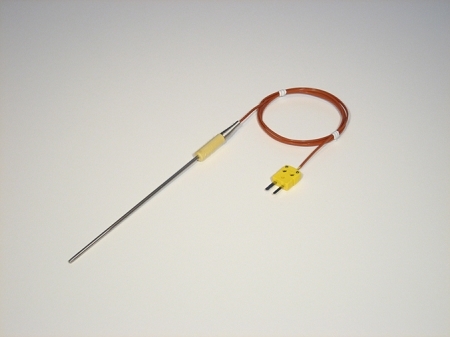 Various sizes, lengths, shapes and types of thermocouple probes can be made to your specifications. Please contact us directly for any custom orders.